Analogies Test measures your ability to apply the correct rules to solve a given problem. 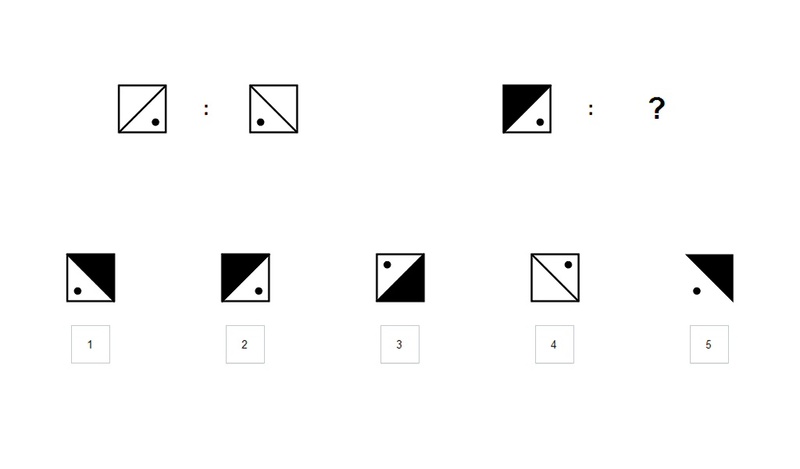 The test compiles word and visual analogies presented in a multiple choice configuration with five answer options per task. To approach the task you have to recognize the relation in the reference item combination first. In the test you are provided with a rule-setting item combination and have to choose the item that completes a second pair in such way that the relationship of the items (words or figures) in the second pair maintains the relationship introduced by the reference item combination.